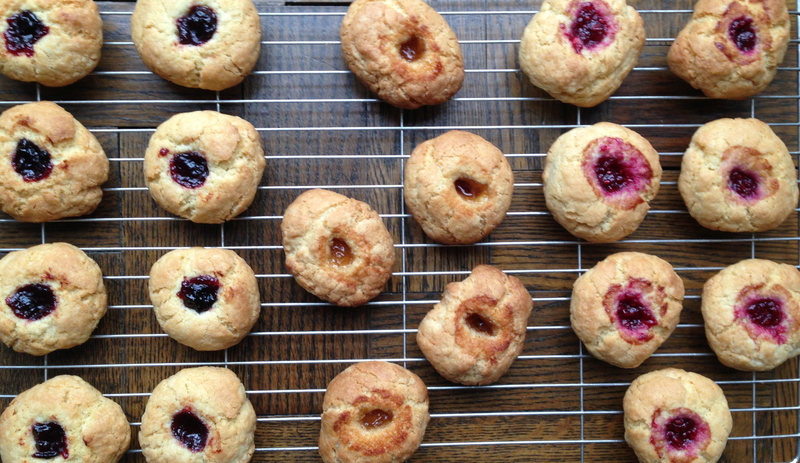 Shortbread biscuits with damson jam, raspberry jam and marmalade. 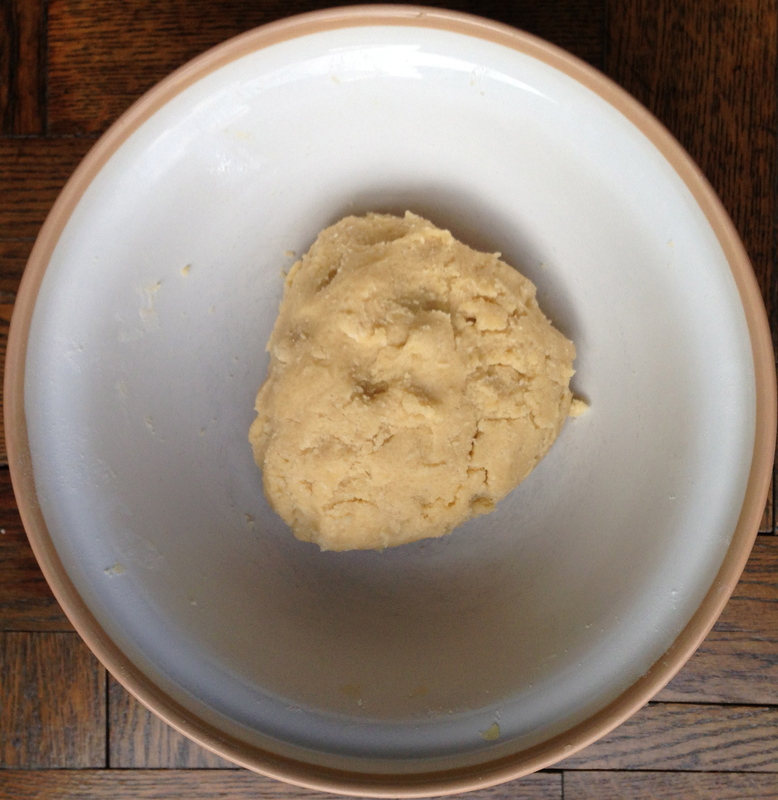 I made these shortbread biscuits – called Douglas’ shortbread biscuits – when I was reviewing Magnus Nilsson’s Fäviken (London: Phaidon Press Ltd, 2012, p208) in January 2013. I halved the quantities given in the book, but still made 20 biscuits as suggested in the original- and they didn’t seem too small. He suggested using raspberry or cloudberry jam for the jammy centre, but having absorbed the foraging spirit of the book I decided on a few variations. One was damson jam, made from damsons collected in Kent, and the other was marmalade, made by my friend Peter Quinnell. The marmalade seemed a nice nod to traditional citrus peel decorations as well as shortbready Scottishness. They were all delicious, but I thought sharp-sweet damson was the best. 2. 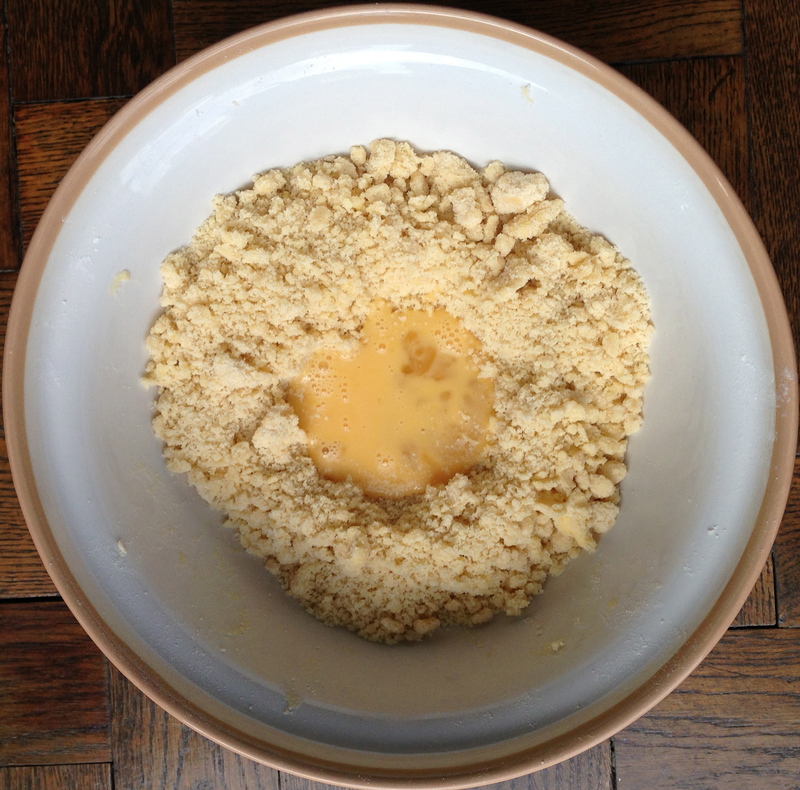 Knead flour, baking powder, sugar and butter together until crumbly and well mixed. 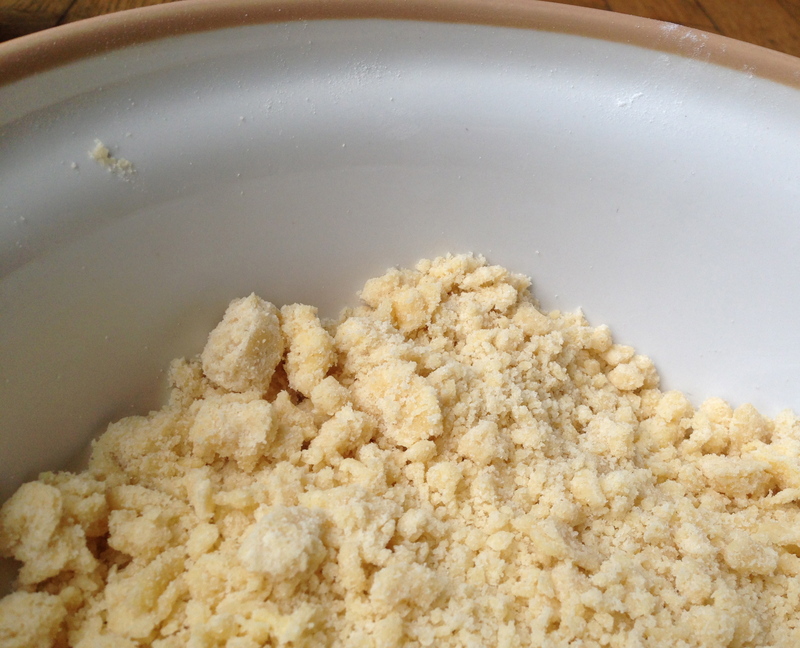 Lightly beat the egg and mix quickly and gently into the mixture with your hands. 3. 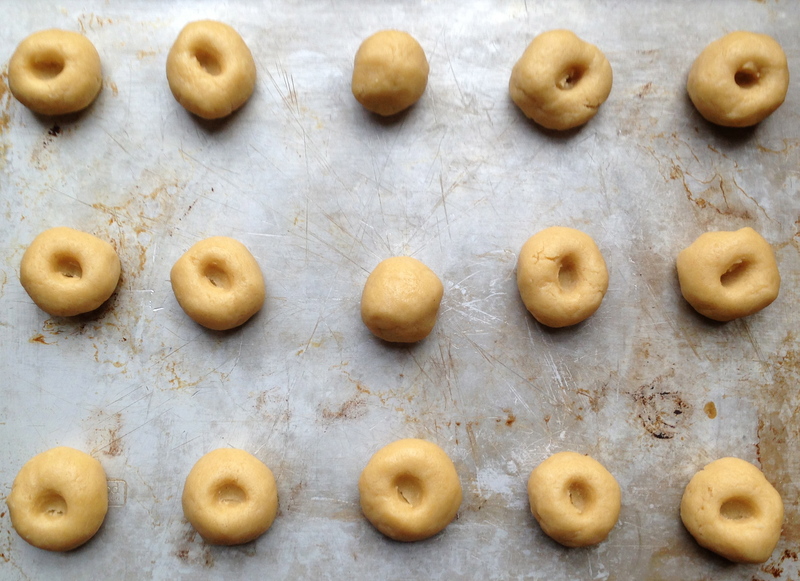 Shape the dough into about 20 little walnut-sized balls in the palm of your hands and place on a baking tray, spaced out. 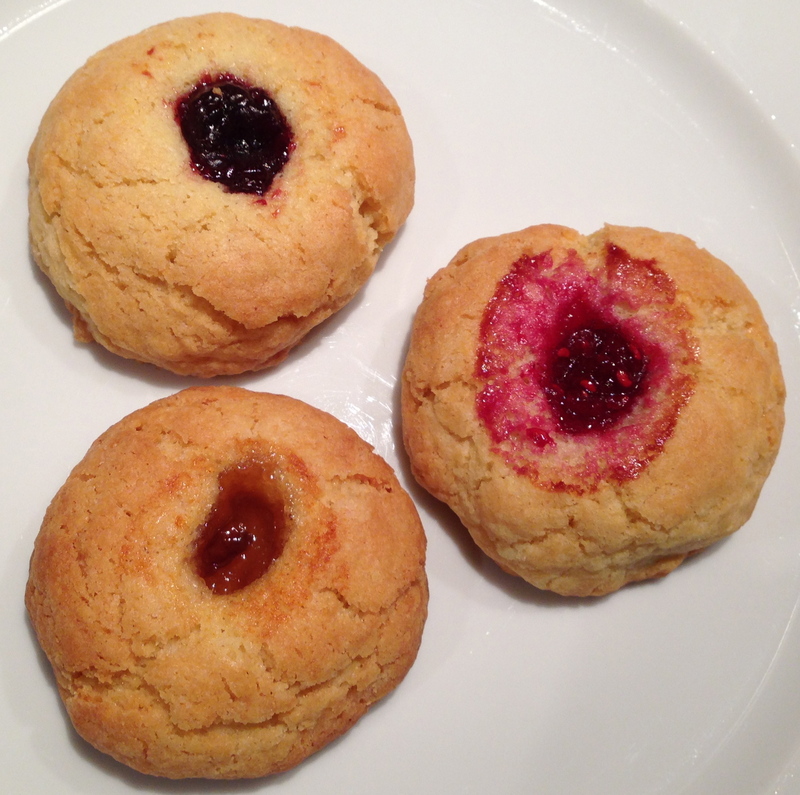 Poke your finger into the middle of each one, flattening the biscuit slightly and leaving a deep dimple in the middle. 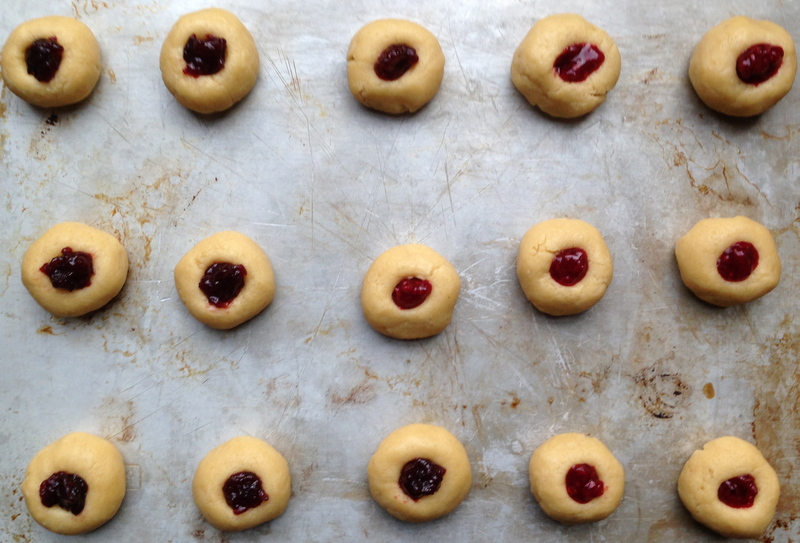 Fill the dimple with jam of your choice, and bake in the pre-heated oven for about 10 minutes or until golden. Cool on a rack and eat immediately.